Home / fall arrivals / labour day / Sales / "I'm sorry, do you have some prior commitment? Some hideous skirt convention you have to go to?" "I'm sorry, do you have some prior commitment? Some hideous skirt convention you have to go to?" I know, I know. I haven't posted in 2 weeks. And I know I promised to be better about posting. 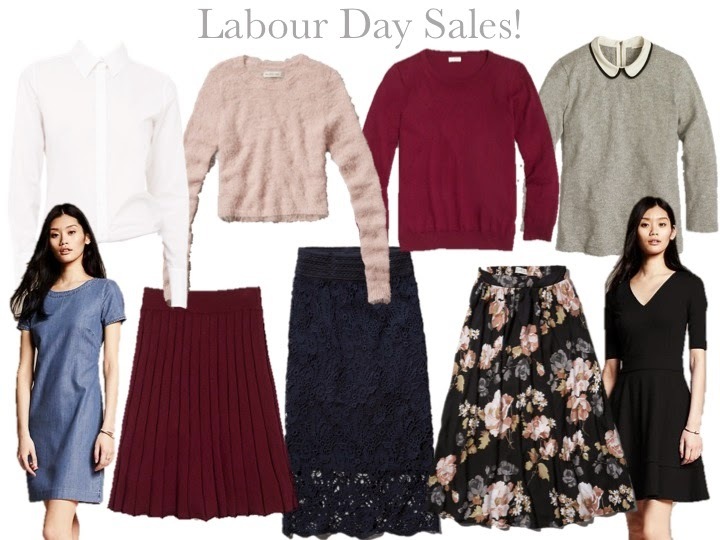 I don't want to bore you and rant about my excuses, so instead, I thought I'd make a quick post on some of the best labour day sales. While I'm all for grabbing things on major sale, I think this is the time of year to buy strategically. Most stores have a ton of fall arrivals out already, and most stores also have labour day promotions on the entire store. That's right. So instead of stocking up on a bunch of cheap summer dresses, it's best to start investing in some fall essentials. Or maybe I only think that because fall is my absolute favourite season. It has the cutest clothes (I mean, come on, riding boots and puffer vests #forthewin), and it has the excitement and anticipation of the upcoming holidays all wrapped up into a few short and glorious months. Ok, as a side note, I'm highly impressed with A&F's fall arrivals. I lived in the brand as a teenager, but unlike high schools in the USA, it really wasn't that popular here, or at least it wasn't where I went to school. I'm guessing it's because there are only two stores here, and it is expensive (given the demographics where I grew up). I really was one of the only people who wore the brand. I haven't purchased anything since grade 12 (and I can't believe that was 4 years ago), but I may have to give them a second look! Midi-skirts, the colour black (I know, it's a huge deal for them! ), and more generous sizes. And here is a list of some of the best store promotions, but hurry, most of them end tonight (also, the promotions I have listed are the Canadian retailers offers)! Loft: an extra 50% off sale items (no code needed) and a flash sale until 10am Sept. 1 with 60% off new fall arrivals! !